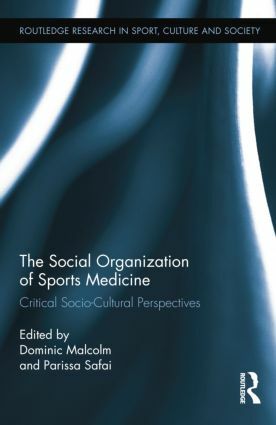 The Social Organization of Sports Medicine is the first book-length overview of the social scientific study of sports medicine, drawing together work from an international cadre of scholars who examine and provide interdisciplinary analysis of the dynamic and multi-faceted relationships between sports and medicine and within sports medicine. The book charts changing perceptions of sport within medical discourse, attempts by sports medicine providers to forge professional identities in response to these processes, the day-to-day experiences of deliverers of sports medicine and the reactions of recipients of that healthcare. The contents are organized in four sections, examining the competing and changing ways in which sports medicine is conceived, the ways in which it is organized, the ways in which it is practiced, and points of contestation between traditional and alternative and emerging forms of (sports) medicine. This collection of essays consolidates recent advances in this area of study and establishes a basis for the future development of the field. Dominic Malcolm is Senior Lecturer in Sociology of Sport at Loughborough University. Parissa Safai is Assistant Professor in the School of Kinesiology and Health Science at York University.